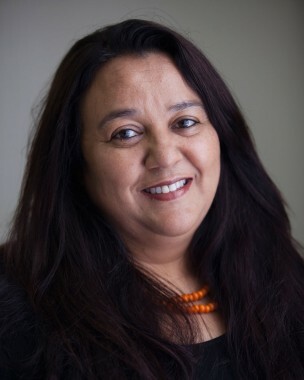 Heather van Niekerk is Co-Executive Director for Sonke Gender Justice and oversees Sonke’s finance, human resources, sub-granting and admin and compliance teams. She joined Sonke in November 2013 as the Operations Director and was promoted to Co-Executive Director from 1 January 2017. She has a longstanding commitment to human rights, with a specific focus on women’s and children’s rights. Growing up on the Cape Flats, her social and political awareness was shaped by the struggle against Apartheid during the 1980s and early 1990s. Heather has extensive experience in the NGO sector, having served as the regional finance manager at Save the Children International in the Southern Africa Regional office and as the Executive Director of Amnesty International South Africa. Heather has also served on several NGO boards, including Transparency International South Africa, Tshwaranang Legal Advocacy Centre, Amnesty International South Africa and is currently the treasurer of the board of Oxfam South Africa. She believes that strong operational systems act as catalysts for organisations to more effectively and efficiently pursue their objectives. Heather obtained her Bachelor of Commerce Degree from the University of South Africa.